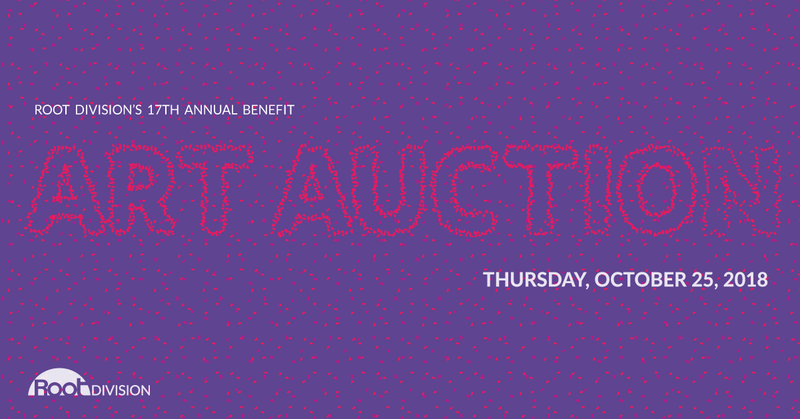 Collect art, support arts education, and be inspired by artists at Root Division's largest annual fundraising event! We are proud to feature an eclectic mix of high quality artwork from over 150 established and emerging Bay Area artists, including plenty of shining and rising stars! Proceeds directly benefit local artists, free art classes for Bay Area youth, and the continued success of Root Division's unique model for keeping artists working at the heart of San Francisco. At each level, you'll receive access to experience this event to the fullest. You and your guests will receive VIP benefits as well as 6:00 pm entry, access to the Diamond Lounge, complimentary valet parking, have reserved seats for the Live Auction AND part of your contribution is tax-deductible! All VIP benefits apply including early viewing and bidding, passed appetizers, specialty cocktails, and a limited-edition artist-designed tote filled with extra special goodies and gifts! Click here to purchase at the Host Level.